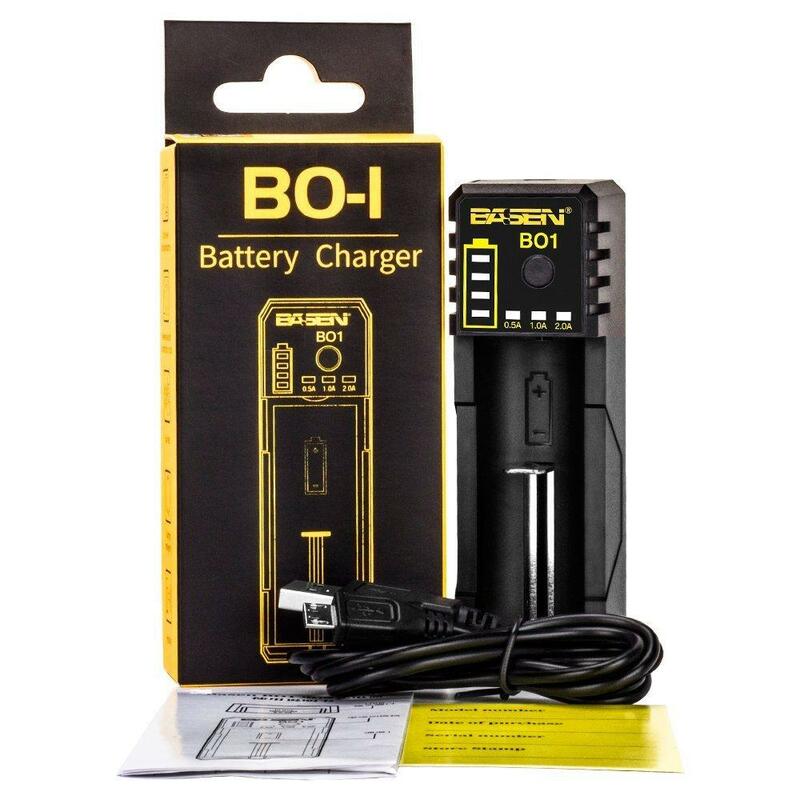 Basen BO1 is a high-end smart charger with configuration of the battery power detection, the product has a separate charging channel,can charge a single lithium battery. You can choose a different charging current to meet the needs of slow charging, fast charging. It can display the battery power status.Product is equipped with dedicated charge and discharge management circuit, has multiple security protection settings, can prevent reverse, short circuit, overcharge, over discharge, over-current damage to the battery effectively, allowing users to use in security at ease.This product can charge different types of DC 3.7V cylindrical lithium battery, compatible with a wide range of practical performance. Compatible with: IMR/Li-ion: 10440 14500 14650 16340 16650 17650 17670 18350 18490 18500 18650 18700 22650 20700 21700 22700 25500 26650 26700. ●Charging mode: Users can press the current switch button on the right side of the product to switch 0.5A / 1A / 2A these three current modes to meet the needs for different specifications of 3.7V cylindrical lithium battery charging. ●The product applies to IMR/Li-ion: 10440 14500 14650 16340 16650 17650 17670 18350 18490 18500 18650 18700 22650 20700 21700 22700 25500 26650 26700. ●Circuit anti-reverse function: When the charger is in the charging or standby status, if the channel positive and negative short circuit, cross-short circuit, the battery itself short circuit, or the battery positive and negative direction reverses, the product protection function will promptly start, and won’t damage the charger. 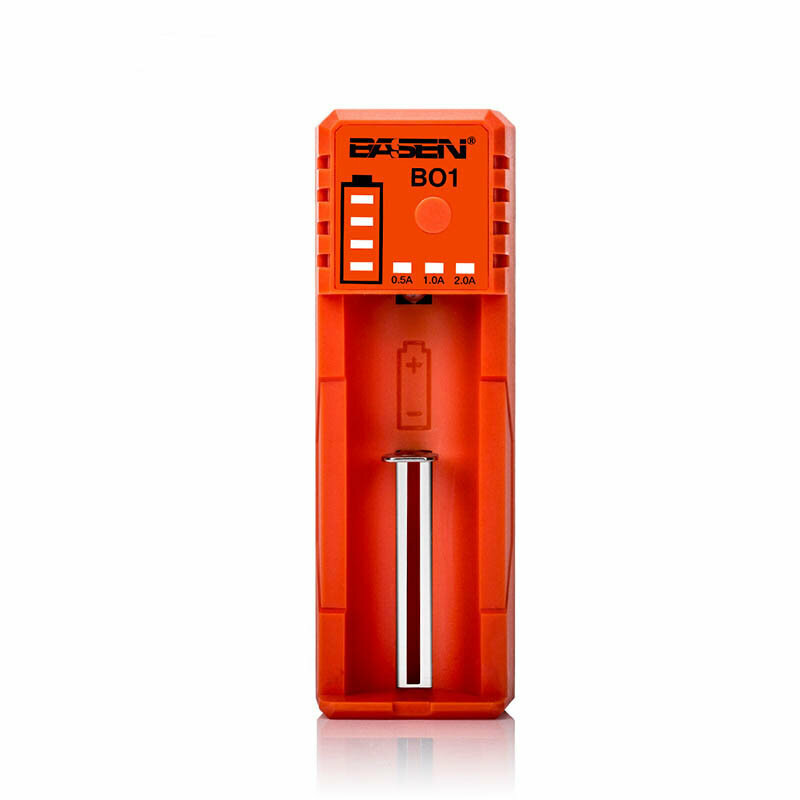 ●Overcharge Protection and Automatic Detection of Charging Function: When the users start to charge the battery, if the battery’s voltage <4.18V, the charger starts charging function, charge the rechargeable battery. ●When the battery is full, the charger starts overcharge protection and stops charging automatically. If not removing the battery for a long time after charging, the charger will consume a certain amount of battery power. When the battery voltage is lower than 4.0V, the charger restarts the charging function (Not for AA or AAA batteries).